A thermopolium was the equivalent of a modern day cafe/bar. Hot and cold food was sold from what was usually an 'L' shaped masonry counter containing terracotta vessels. 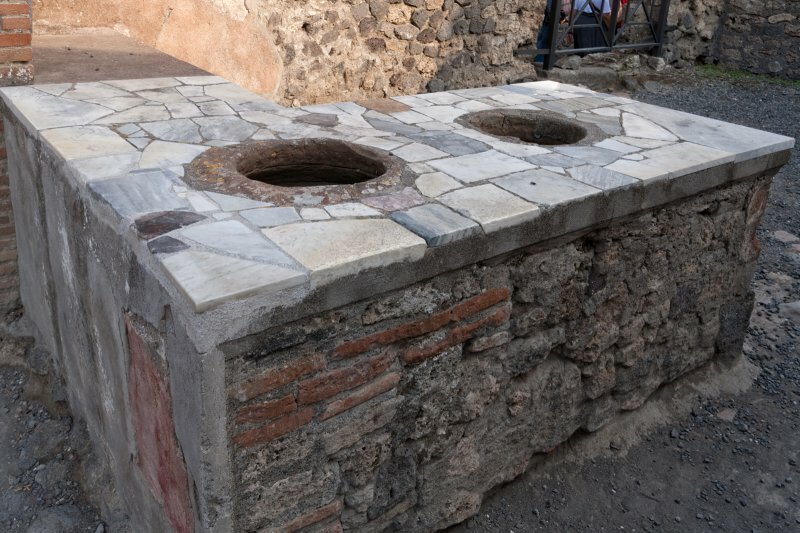 There are more than 160 thermopolia in Pompeii, of which almost half have marble surfaced counters.